Hon. 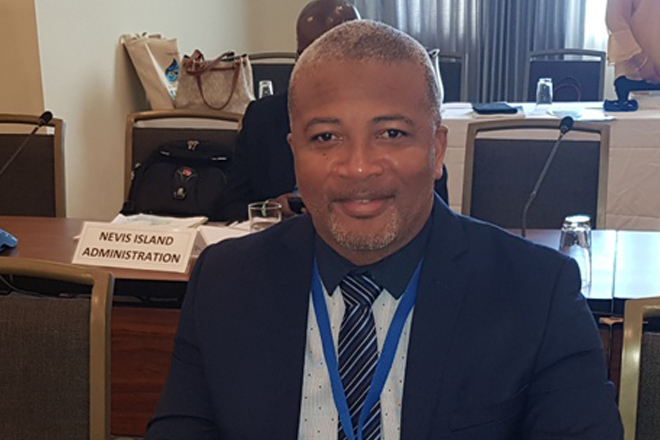 Spencer Brand, minister responsible for water services in the Nevis Island Administration (NIA) has pledged to continue to work with regional and international partners to make the water sector on Nevis climate resilient. Minister Brand’s comment came following his attendance at the 14th annual high level forum for Caribbean ministers of water at the Jewel Grand Montego Bay Hotel Resort and Spa in Jamaica from October 9th to 10th, 2018, which sought to promote climate resilience, innovation and partnership while addressing the issues of water and waste water as resources in sustainable development. The minister said the forum was attended by key partners who continue to work with CWWA to elevate water and waste water issues to the political and regional agenda, namely the Inter-American Development Bank (IDB), the Caribbean Development Bank (CDB), UN Environment, the Pan American Health Organization (PAHO), the Caribbean Community (CARICOM) Secretariat and other indigenous regional agencies.